This tour of the culture, art and history of Pernambuco includes visits to the the studio of the renowned artist Francisco Brennand and to the Ricardo Brennand Institute, with its impressive collections of art, arms and armour. The bus will depart from the Marante Plaza Hotel at 13:00. 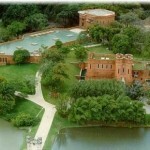 After the tour, there will be the Banquet at Spettus Steak House Boa Viagem. Brennand was born in 1927 in Recife, Pernambuco. Although he has become famous for his sculptures with ceramics , he is also a painter. The studio emerged in 1971 from the ruins of an early 20th-Century brickworks, as the materialisation of an obstinate, relentless project of the artist. 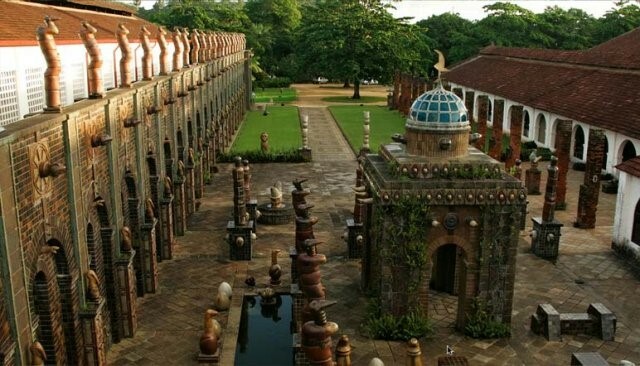 The Ceramica Sao Joao, an old brick and tile factory inherited by Brennand from his father, located in the grounds the historical suburb of Varzea and surrounded by remnants of Atlantic rainforest and by the waters of the Capibaribe River, has, throughout the life of the artist, become both se source of his inspiration and a home for his artwork. The Brennand Studio houses more than 2,000 works – murals, panels and sculptures included – and is surrounded by a garden designed by the landscape architect Roberto Burle Marx. There is also a shop where some works, postcards, and books about the artist can be bought. Ricardo Brennand Institute is a cultural center located in Recife. 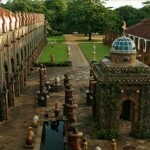 It was opened in 2002 by businessman and collector Ricardo Brennand, with an exhibition of Albert Eckhout paintings. It consists of an art gallery, a museum of armory, an auditorium and a garden. The Ricardo Brennand Institute houses vast collections of paintings, armory, sculptures, tapestries and furniture, with objects proceeding from Europe, Asia, Africa and The Americas. The art gallery, which has the Dutch Brazil as its main focus, houses the world´s largest private collection of Frans Post paintings and the library shelters a comprehensive collection of documents of Brazilian and world history. The library’s catalog has about 20,000 items , such as photographs, pamphlets, maps and rare books, with emphasis on works about Brazil written by European travellers. The museum of armory, located in Castelo de São João (Saint John Castle) houses one of the largest armory collections in the world, including daggers, swords, knives, pocketknives, crossbows and a set of 27 full plate armors. Besides the exhibitions, the Institute offers courses on history of art to public and private schools, as well as other cultural activities.